We propose you two types of tents: the tent Bali = glamping "BASIC" (common toilet block and no bed sheets) and the tent Shaka = glamping " of luxury " (with toilets deprived in the tent, the bed sheets and the service inclusive hotel). African style tent which includes 1 double bed, 1 bunk bed and 1 bathroom (toilets, shower and sink). Bed sheets and hotel service are included. No view on the valley. African style tent which includes 1 double bed + 1 bunk bed. 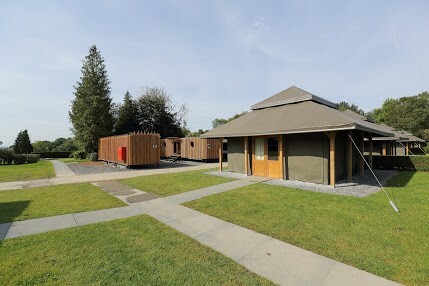 Shower and toilets available on the toilet block of Glamping. African style tent which includes 3 bunk beds. Shower and toilets available on the toilet block of Glamping. African style tent which includes 4 bunk beds. Shower and toilets available on the toilet block of Glamping. 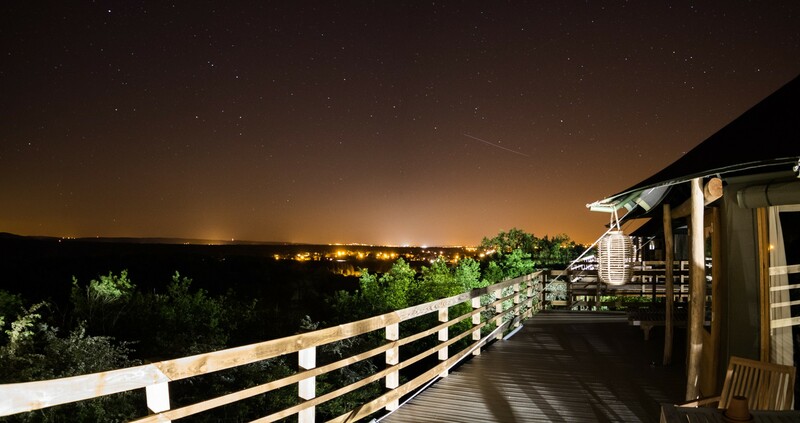 The campsite glamping is a wonderful project within Adventure Valley. The objective is to propose an alternative and quality accommodation for stays between friends or in family. The noisy groups and the party animals not able of respect with the other visitors are not welcome. 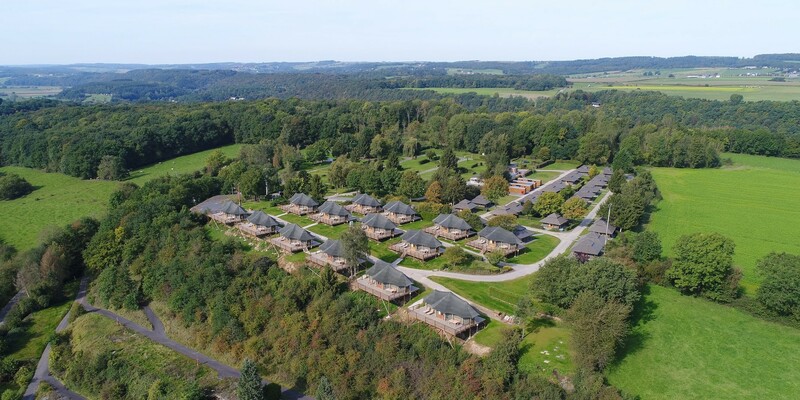 Adventure Valley is situated on the borders of Ardenne, benefiting from a magnificent landscape just next to Durbuy, smallest town of the world. Besides an active program, it is the ideal place for beautiful walks and other excursions. 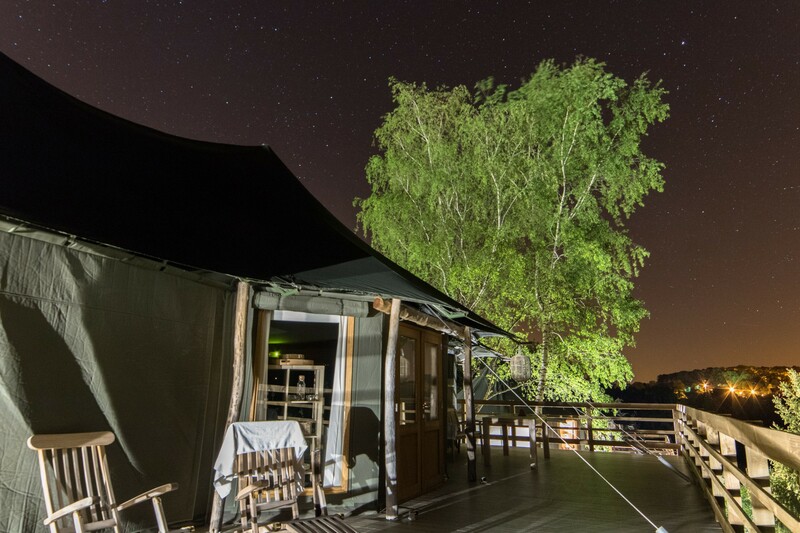 The glamping is the association of words glamorous and campsite. It defines a new trend regarding accommodation outdoor which comes to us any right of United Kingdom where it's very fashionable since 2007. It addresses all those who are in sync with the spirit of the campsite, the natural side and the environmental protection, but who are less with the rudimentary aspect of the accommodation in tent or in caravan and who prefers a more glamorous side, with more luxury and more comfort. 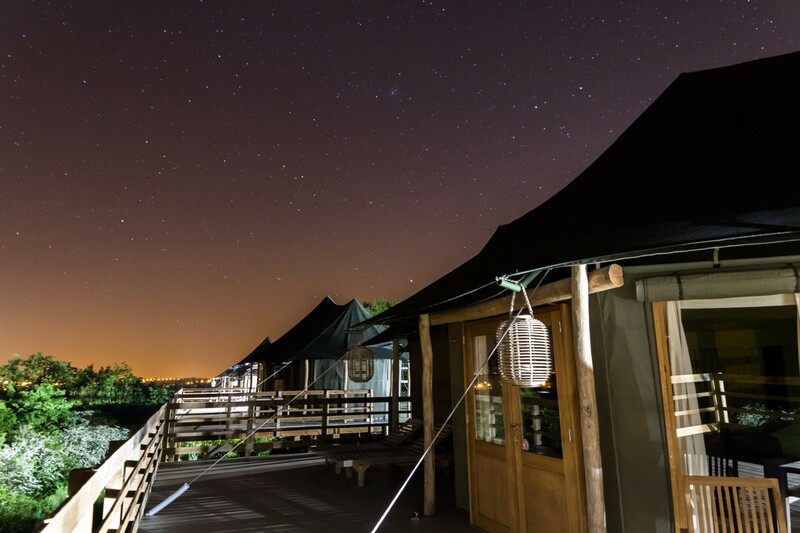 If we want to summarize, the glamping is a form of smart campsite which delights families: the children are quite incited at the idea of camping and the parents are pleased with an accommodation any comfort. Everybody finds some benefit there! 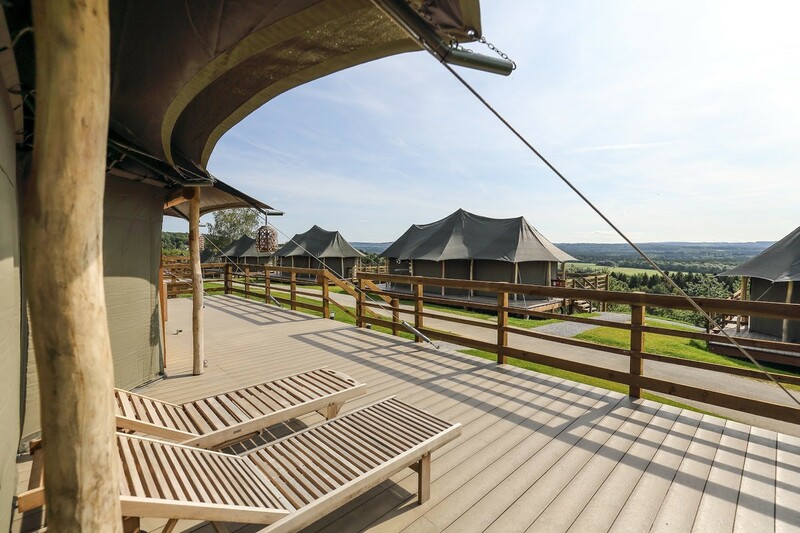 Tents glamping are close (700 meters) of Adventure Valley. The meals can be reserved in advance in the park and the breakfasts can be delivered to your tent on request. 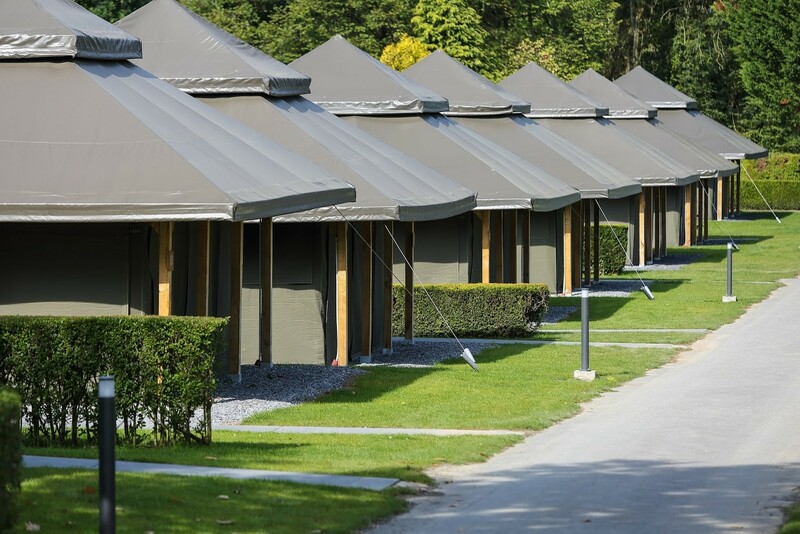 Durbuy and its gastronomy are only just a step from the glamping. Our recommendations: LPM grill and Le Sanglier Des Ardennes understanding La Bru'sserie for tapas and sharing food by Wout Bru. Tents Bali do not dispose of private toilets but a toilet block (with showers and toilet) that is provided in the campsite, they do have an individual fridge. The tent Bali is for the vacationers who want some comfort in their tent, while keeping the spirit of camping: there is no bathroom in this accommodation but a toilet block is at their disposal on the campsite. This tent, with its floor surface of 25m, is fitted out according to the number of people whom she can welcome: the tent for 4 people includes a double bed and two bunk beds, the tent for 6 people counts 3x2 bunk beds, and finally the tent of 8 people articulates around 4x2 bunk beds. The tent Shaka is ideal for a family of 4 people, who wishes a stay in peace and comfort in an accommodation of 50m ². 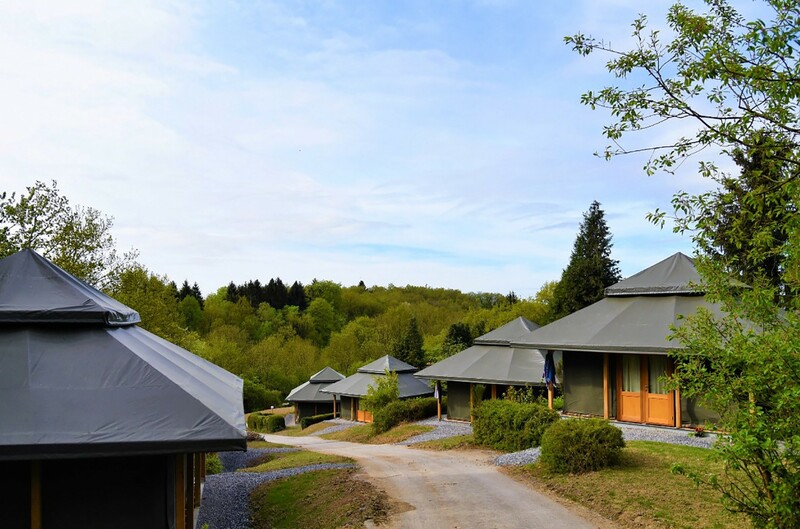 The installation, with a magnificent view on the Ardennes, includes 1 room with a double bed, 2 bunk beds, a bathroom with one toilet and a bathtub or a shower, and a private parking lot.